Kamakura is a scenic coastal city and UNESCO World Heritage south of Tokyo. It’s most famous for its many temples, Enoshima Island, and most of all the Great Buddha. Quite frankly there are so many wonderful things to so see in Kamakura that it almost feels impossible to skip it. 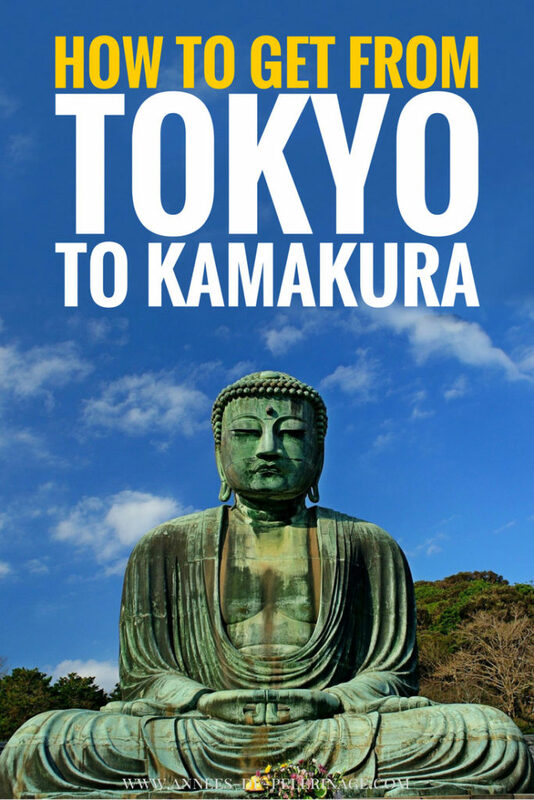 But just how to get to Kamakura from Tokyo? It’s one of these questions almost every tourist in Japan asks at one point or another. Kamakura is located 50 kilometers south of Tokyo, right at the east end of the Sagami Bay / Tokyo Bay. There are multiple train lines and highways connecting the capital with the illustrious coastal town in the Kansai region – most of them passing Yokohama. Getting to Kamakura is quite easy, as there are no mountains in between and basically all connections are operated throughout the day. Kamakura train station is the center of the town, even though you will notice that most of the tourist attractions are not within walking distance. A local train and buses will get tourists to their final destination with ease, though. The most popular choice to get from Tokyo to Kamakura is by train. In fact, I do recommend getting a JR Pass, as the Japanese highspeed bullet trains (shinkansen) have no rival when it comes to speed, service, and punctuality. The JR Pass gives you unlimited train rides on all Japan Rail trains for a week, two weeks or three weeks. There is also the Kamakura Enoshima Pass (sells for 700 yen), if you only want to use the trains around Kamakura and will travel the rest of Japan by car or bus. If you only stay in East Japan, the JR East pass might be worth considering as well. 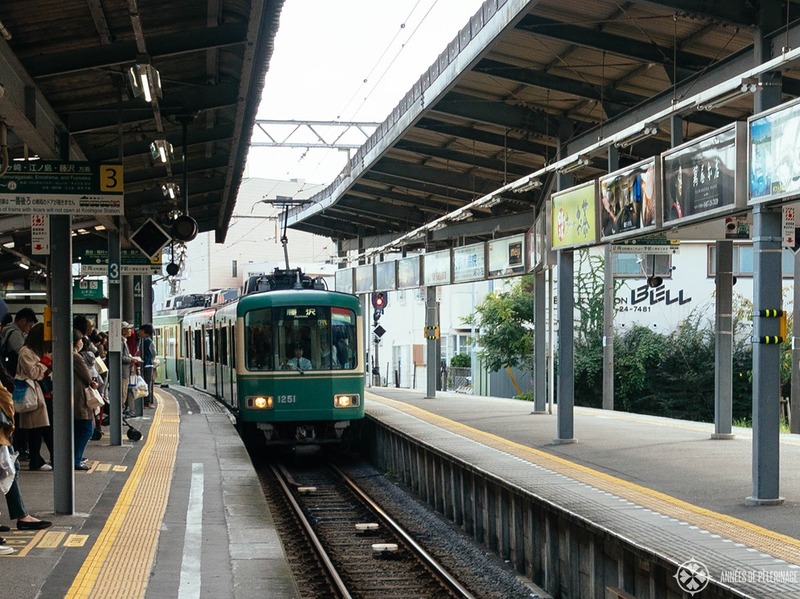 The JR Yokosuka Line for Zushi is your easiest connection from Tokyo Stations to Kamakura. It takes 55 minutes to get to Kamakura station and costs 920 Yen per person one way. This train also stops at Kita-Kamakura Station and usually leaves from track number 1 or 2 in Tokyo station. You can also take the JR Yokosuka Line for Kurihama (which also stops at Kamakura) or get in at Shinagawa (if that is easier for you). The JR Yokosuka Line for Zushi departs roughly every 30 minutes. Please check this website for the train schedule from Tokyo to Kamakura (I’d bookmark the websites, as it’s by far the best website to check train connections for Japan). There is also an easy way to get from Shinjuku station to Kamakura. You have to take the JR Shonan-Shinjuku Line for Zushi (usually departs from track No.1). It takes 60 minutes and costs 920 Yen per person one way. Please take note that the JR Shonan-Shinjuku Line for Kozu will not get your directly to Kamakura. You will have to transfer at Ofuna Station and catch the JR Yokosuka Line for Zushi there. You have to take this line if you are departing from Yokohama to Kamakura as well. The Odakyu Limited Express Romancecar leaves from Shinjuku as well and takes 65 minutes. The ticket will be 1470 Yen per person and day. So actually quite the bargain. 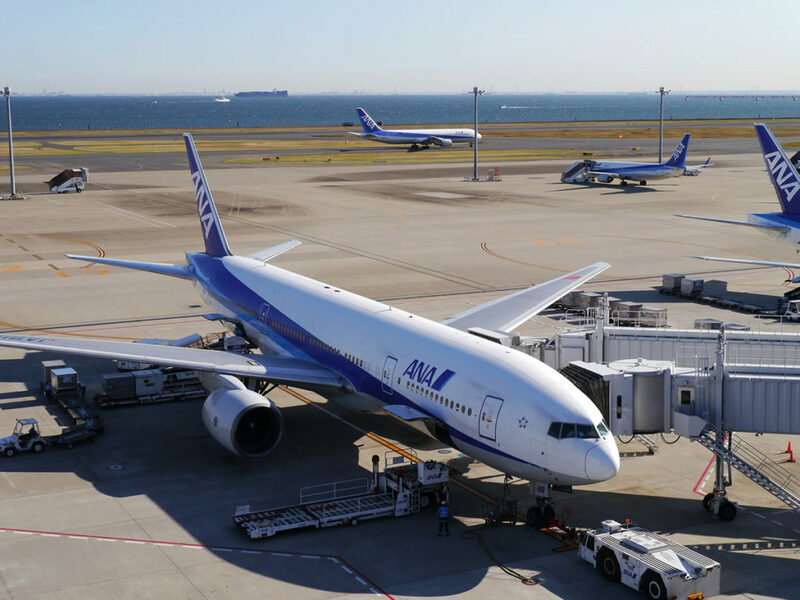 You’ll (probably) arrive at Haneda Airport Internation terminal and basically have to get to Yokohama and take the JR Shonan-Shinjuku Line for Zushi from there. 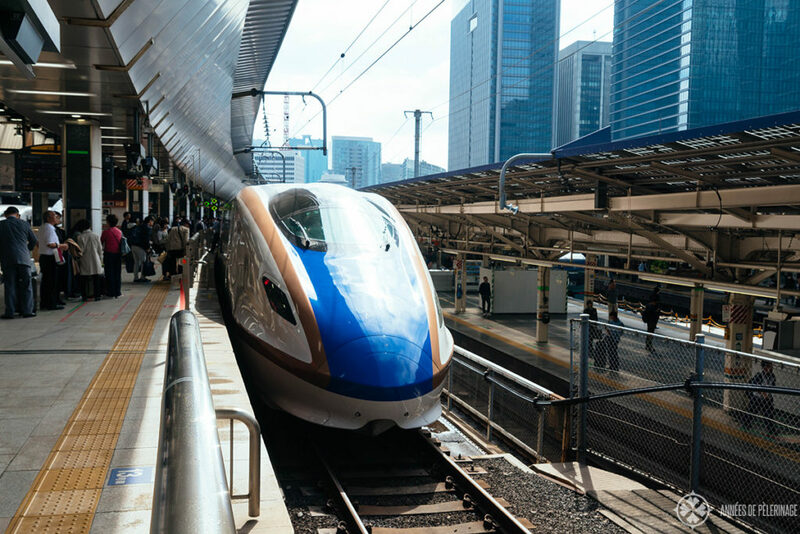 The easiest way to reach Yokohama from Haneda Airport is taking the Keikyu Aiport Exp to Keikyu Kamata station and transfer to the Keikyu Mainline Rapid Ltd. Exp. for Mikasakiguchi which will get you to Yokohama station. Will take about 70 minutes all-in-all. There is also a limousine bus that connects Kamakura directly with Haneda airport. Check out the timetable here. Be aware that only two buses stop at Kamakura station each day. If you arrive later (or earlier) you’ll have to get out at Ofuna Railway Station and catch the train onwards to Kamakura. All things considered, I’d take the train, even though it means three transfers. The bus will take almost 2 hours and will be just as expensive. I just feel it’s not worth it. Note: As Narita airport is northeast of Tokyo, it’s not the best starting point for a Kamakura excursion. 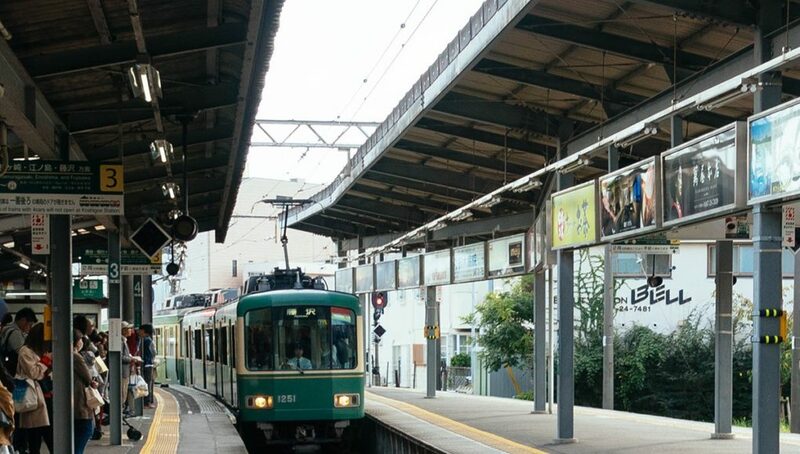 If you really want to go from Narita Airport to Kamakura, you have to get on the Keisei Narita Skyaccess line, and then switch over to the Yokosuka Line in Shimbashi. will take about 2 hours and 15 minutes. They don’t call Japan the land of the rising sun for no reason: It is indeed a country for early risers. Most temples and Shinto shrines will close around 5 pm, some even won’t admit anyone past 4 pm. If you want to visit Kamakura on a day trip from Tokyo, this basically means leaving early in the morning. I recommend you to take a train from Tokyo station around 8 am, so you’ll arrive around 9 am. There’s no sense going that much earlier, as the temples will open no earlier than 8:00 am. And either way, being at Tokyo station so early probably means getting up at 6:30 am – if you want to have some time left for breakfast before your departure, that is. 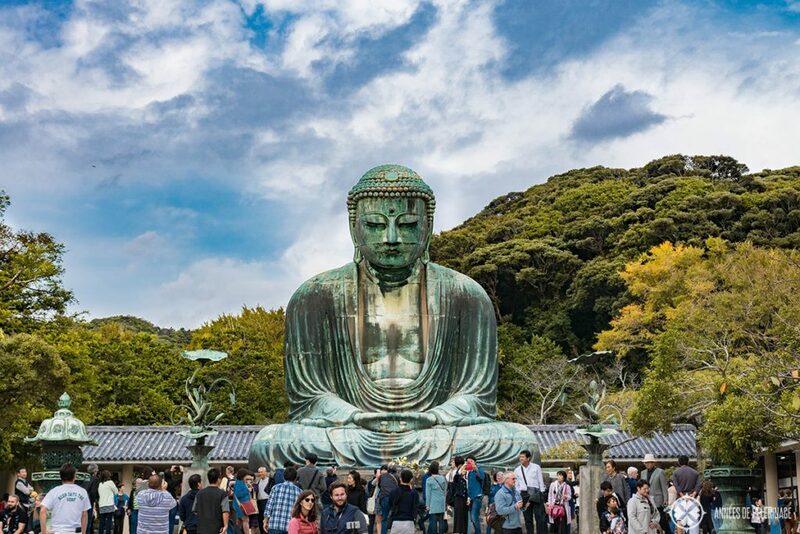 This will leave you enough time for a walking tour along the coastline, visiting the world heritage sites of the Tokugawa shogunate, see the Great Buddha of Kamakura (daibutsu), Hase-Dera, and the other famous sightseeing spots. Note: There are local buses (and taxi’s) to help you access famous sightseeing spots like Zsenji and Zeniarai Benten. While you can walk and enjoy the scenery, it will take quite some time. If you want to see Enoshima island as well or really want to dig deep into the feudal history of Japan (the samurai and everything before the Edo Period), you probably will have to stay a night or come back again. 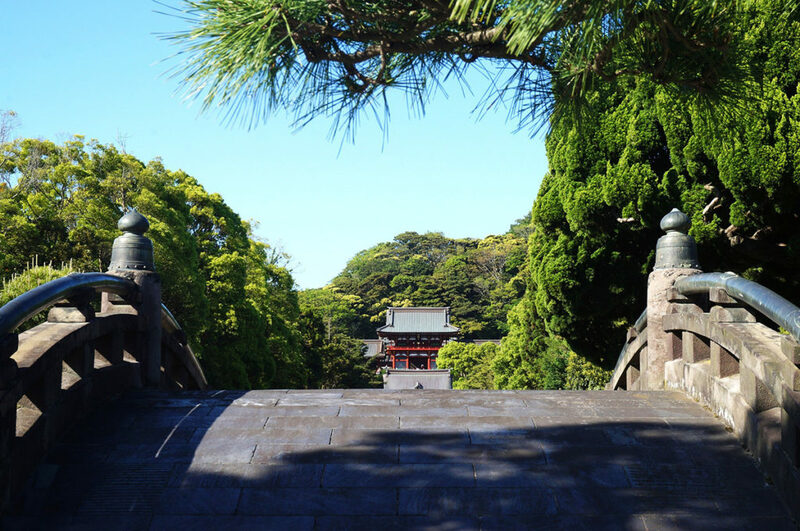 For further details on what to do in Kamakura, absolutely check out my tourist guide. So, this was my guide on how to get from Tokyo to Kamakura. Hope you found all your answers. If not, do ask a comment. And don’t forget to pin this to your Pinterest board.